Volker Quaschning, a professor for renewable energies in Berlin and one of the most influential advocates of the “Energiewende” in Germany, is convinced that nuclear and fossil fuel power in Germany will be fully replaced by renewable energies in the not too distant future. The Energiewende, he says, does not even require the support of Germany’s EEG (Erneuerbare-Energien-Gesetz) feed-in law any longer. “The EEG is only needed to accelerate the Energiewende”. Volker Quaschning, Professor for Renewable Energy Systems at the University of Applied Sciences (HTW) in Berlin, is one of Germany’s leading authorities on renewable energies – and one of the most compassionate advocates of the Energiewende. He advocates a direct path to 100% renewable energies with no detours through coal, nuclear, or shale gas development. His website www.volker-quaschning.de is devoted to the realization of sustainable energy supplies and the reduction of greenhouse gas emissions. 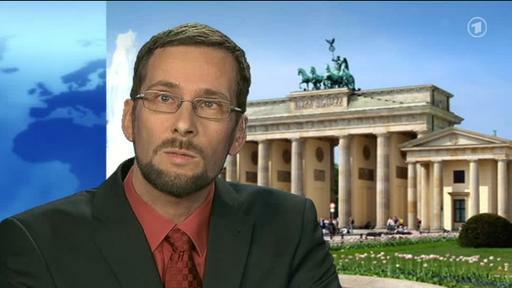 Quaschning is often quoted in the German media. Energy Post spoke with him at the New Energy Husum fair in Husum, Germany, on 20 March, about the challenges facing the Energiewende, such as the (perceived) high costs and the lack of transmission capacity. Energy Post: Renewable energies are often criticised as too expensive. Many observers believe they will require permanent subsidies, which will only get higher as new installations multiply. Volker Quaschning: Cost comparisons are only valid on a level playing field. The invoice presented for renewable energies contains no hidden expenses. By contrast, conventional generation has always relied on public funding and tax exclusions that do not appear on power bills. Society will also continue to pay for radioactive waste management, the effects of climate change, and water contamination from mining long after the last nuclear and coal power plants have been retired. If renewable feed-in payments nevertheless increase as generation capacities are added, won’t more manufacturers want to be excluded from EEG cost redistributions? In 2011, energy expenditures constituted only 2.1% of gross production value in the German manufacturing industry. Wages are a much more significant factor. Any EEG exclusion is a wage subsidy. In the German aluminium smelting industry, for example, each employee receives an effective €440,000 annual exemption that accordingly raises electricity prices for households and small businesses. Synchronizing energy-intensive production with periods of grid oversupply could make such arrangements unnecessary and fund additional jobs elsewhere. It s often said the success of the Energiewende depends on the success of the government’s transmission expansion plans. But at the beginning of 2014, only 322 kilometers of an intended 4,600 km had been constructed. Is timely completion possible? Transmission is not the main problem of the Energiewende. No one really knows how much cross-country transmission would still be needed after the full potential of regional generation had been realized. The current grid expansion legislation has been formulated for sustaining coal power generation. Public opposition has arisen in Bavaria against new high-voltage transmission lines. Is there a risk offshore wind power in the north will not be able to reach southern Germany? North Sea wind power deployment is behind schedule, while decentralized renewable generation exceeds earlier projections. Overland transmission to Bavaria is primarily intended for transporting brown coal electricity from the de-industrialized eastern German mining regions. This CO2-intensive power contradicts essential objectives of the Energiewende. Can nuclear power be fully substituted by renewable energies before the final decommissioning deadline of 2022 as long as transmission capacities remain inadequate? Yes. Some of Germany’s current nine nuclear reactors are already superfluous. The remainder could be retired within two to three years with revised energy policies and improved demand-side management strategies. If offshore wind power cannot be transmitted to Bavaria, could it be used to preclude the new Vattenfall Moorburg coal power plant in Hamburg? Offshore wind generation is extremely expensive. There are plenty of inland opportunities for additional wind and solar power, where capacities are being expanded by 3 GW monthly. Renewable generation can clearly be expanded more rapidly than building conventional power plants. Would the elimination of EEG priority feed-in regulations diminish renewable power availability on the grid? Without priority feed-in, there would be no Energiewende. Newly constructed wind and solar farms can’t compete with older coal power plants that are already debt-free. The mining & energy trade union IG BCE has proposed a conglomerate of all hard coal power plants to confront renewable energy penetration on the grid. Since it covers nearly half of total electricity demand, doesn’t coal and lignite generation still dominate the power market? As the Energiewende endures, coal power will lose its competitive advantage. The IG BCE should redirect its attention toward new technologies such as power-to-gas energy storage. The German government has announced a reform of the EEG, to be effective from August, which will limit compensation for renewables and put upper limits on the expansion of onshore and offshore wind power and PV installations. Will such a limitation impede future renewable energy deployment? Wind and solar energy have become so inexpensive that future capacity expansion would hardly be affected by EEG curtailments. Declining trading prices on the European Energy Exchange (EEX) have already confirmed that rising electricity rates are largely unrelated to the actual cost of generation. You don’t believe the Energiewende would be doomed to failure without EEG feed-in payments for needed additional capacities? No. Many renewable power installations are already being realized without them. The EEG is only needed to accelerate the Energiewende. The government now plans an energy summit on April 1st with all of the German states. Are federal programs inadequate on their own? Can German energy policy transcend this patchwork? The government never wanted a national Energiewende. However, public pressure following the Fukushima catastrophe has made comprehensive transitional policies imperative. An upcoming judgment of the European Court of Justice may prohibit Germany from discriminating against foreign renewable energy suppliers who export energy to Germany. These suppliers would then have to be granted EEG compensation. How would this effect the Energiewende? Such a directive would not be integral to the Energiewende, which is designed for superseding conventional generation within Germany. Such a prospect only underlines the need for expanded renewable energy usage throughout Europe. Has Germany incorrectly assumed that other nations would be following its example? Some countries have already surpassed Germany’s economies of scale. Particular solar farms now deliver regional power for under 5 cents/kWh. These reduced prices will support very substantial global growth rates for renewable energy usage in the coming years. A group of prominent European energy experts – who call themselves the Synopia Group – has criticized “the anarchic development of intermittent power sources” and the “mindless pursuit” of policies that impede economic recovery. Has Germany drifted away from market rationality because of the EEG and nuclear phase-out? Surplus grid electricity from conventional and renewable generation causes market prices to fall. Feed-in payments naturally then appear expensive in comparison. However, the reduced power trading prices are being passed on to industrial customers, some of which also receive EEG exclusions. Is there any prospect – or any need – of European shale gas “saving” the Energiewende by substituting offshore wind power while achieving lower emissions than with coal? Fracking will never attain a popular majority in Germany because of the inherent imperilment of health and the environment. Shale gas development is irrelevant to the energy transition. It cannot lower household heating bills. The goal is to achieve a 100% renewable energy supply as soon as possible. Shale gas is not a renewable source, while its net greenhouse gas emissions are comparable with other fossil fuels. If Germany does not succeed in reducing its CO2 emissions due to continuing coal usage, shouldn’t we prepare for a much warmer planet? Future developments remain unpredictable. Renewable technologies have advanced far more than anyone expected when the EEG was enacted. Declining prices will enable the pace of deployment to be increased. Thirty years ago, no one could envision today’s global internet and smart phone society. Achieving 100% renewable energies is now likewise possible. Since Germany hasn’t yet reduced its greenhouse gas emissions using renewable energies, aren’t other coal producing countries such as Australia rejecting the Energiewende to avoid high investment costs without commensurate returns? A CO2 penalty of 70 €/t would be necessary to offset all hidden coal price supports. As long as suitable emissions charges are not imposed, however, these unspoken subsidies will continue to distort the prerequisites of a responsive, climate-tolerant energy system. Wouldn’t higher carbon taxes or CO2 trading certificates be of particular benefit to nuclear power plant operators? Renewable energies remain incontestably less costly than nuclear power when the hidden charges of radioactive waste and decommissioning are added. Now that the EEG has brought down the price of renewable energies, it is time to discuss whether mankind can still afford atomic energy and coal power despite their enduring negative consequences. Nuclear reactor construction is already much more expensive than new renewable power plants. The nuclear era is in terminal decline. The fossil fuel age will soon follow. Nobody can really hold back the renewable revolution. But it remains our responsibility to speed up this development and to bequeath our children a liveable planet Earth. Jeffrey H. Michel (Jeffrey.michel@gmx.net) is an independent energy consultant and author based in Hamburg, Germany. He recently published on Energy Post an in-depth analysis of the challenges faced by the German Energiewende: Can Germany survive the Energiewende? Michel, a graduate from MIT in the US, has also published extensively on the problems facing Carbon Capture Storage (CCS), see for example his report for the Air Pollution and Climate Secretariat in Sweden, Lost Hopes for CCS, and this article on Energy Post: CCS: Why the high hopes cannot be fulfilled. The invoice with no hidden costs attached for renewable energy generation as mentioned above is an interesting comment, while that may be true for Germany it would appear that that would not be the case for those countries mining and extracting the minerals needed to make the windmills function. China does not seem to mind and the rest of the world was very happy with it, one problem out of the backyard and the public does not see the damage. Or the “greenhouse” gas SF6 released through the manufacture of solar panels, a truly manmade compound and far more potent then plantfood CO2. The killing of bird life by the mincing machines also seems to be forgotten. While no doubt these technologies will change over time in construction and materials required, at the moment the “no hidden cost” comment would appear to be applicable to another as yet unknown planet. Change in energy generation is needed if we don’t want to live in the dark after sunset, good energy saver that would be though, in the relatively near future. But there is no free lunch from any of the currently known “alternatives”. It would be good if the environmentalists and other advocates of this type of energy stop pretending so that the debate can be more balanced and somehow better decisions can be made to reduce that hidden cost no matter how we generate energy. It takes energy to make energy making devices such as solar and wind. Solar and wind energy devices are now made with cheap fossil fuel energy. Once these energy sources are replaced by the more expensive solar and wind energy, you will see costs of solar and wind increasing. A similar problems exists in the U. S. with its biofuel product ethanol from corn. It can’t replicate itself. With the technologies of today, solar and wind are not economical and being forced on the world by the fiction of carbon dioxide from burning fossil fuels is causing catastrophic global warming. These policies only lower the standards of living for those in the developed nations and leave those in developing nations saddled with perpetual poverty.